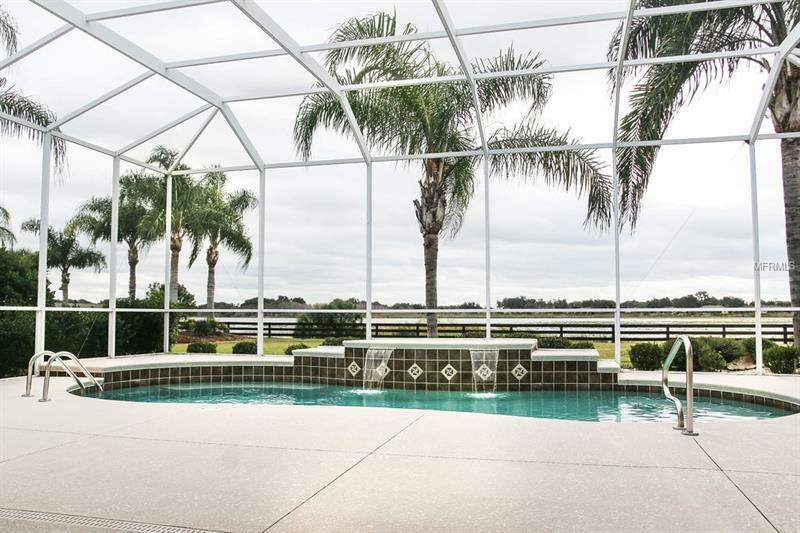 Rare Lake Miona waterfront home in The Village of Bridgeport at Miona Shores The Villages Florida. 4 bedrooms 3 baths custom Grandview Premier home boasting with 3432 sq. ft. of luxurious living space. Stunning granite kitchen with updated stainless steel appliances. Granite continues in both interior baths. Exceptional heated pool surrounded by a large birdcage overlooking Lake Miona! The summer kitchen and full cabana bath make this an ideal entertaining space. 2 car garage along with an additional golf cart garage. New roof 2014! Convenient central location within the villages and easy access to Lake Sumter Landing Square & 301. Come see this impressive home!